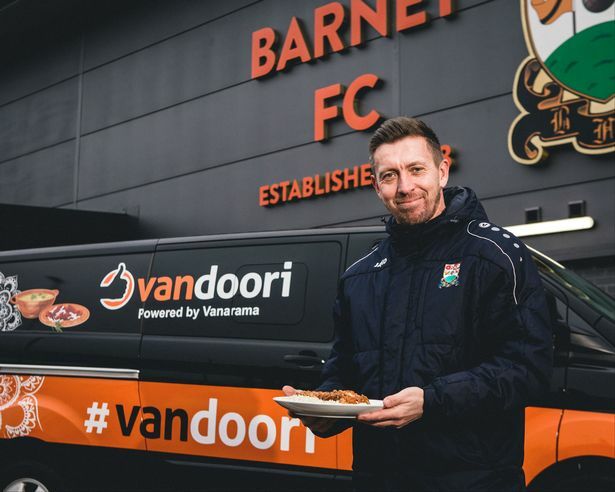 It was a marvellous game, befitting of any era of the grand old competition and on a night where Vanarama served up the Vandoori curry, both sets of Bees served up the goals. When teams lower down the ladder get results against loftier opponents, they’re often low scoring affairs with long phases of defending in numbers, but Currie has definitely managed to sprinkle his flavour on this team in his short time in charge and to go behind in the first half, claw themselves in front and then have to do it all again, is testament to the men from the Vanarama National League and their manager. It’s ties like this that make you glad the FA Cup replay is still in existence………..Drink it in while you can. Players often like to tell you that when they take their first steps into management, they will take the good and the bad from all the coaches and managers they’ve played under, add their own personality and ideas and then hopefully, become a good manager themselves. A player with a vast amount of playing experience, spanning 20 years, 15 clubs and goodness only knows how many coaches and managers, Currie is better armed than most for a foray into management. Sitting 17th in the National League with 4/5 games in hand and with a 4th round FA Cup replay on the horizon, the men from the Hive are reaching a critical period, whereby it could turn out to be one of the best seasons in recent times or a ‘very nearly’ year that players and fans alike will look back on with a grimace. Either way, with a lively, young manager in his first managerial job in earnest and already with giant killing experience under his belt, the future looks bright and if we use his playing career as some sort of reference, the months ahead could yet get a little spicier for this week’s ‘Sports 360 Supremo’ and his charges.